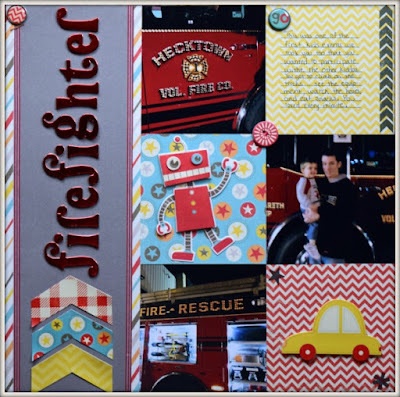 I’m so excited to share with you my first layout as part of the design team at Scrapbook Challenges. The challenge this time was to use chevron paper. I like chevron paper, and of course have a ton, but as I look at my layouts I realize I don’t use it all that often. This was perfect for me to pull out some of those papers and make myself use them. The design was actually an older (August 2014) sketch from Scrapbook Challenges. What is even older is the paper collection…It’s from My Mind’s Eye and is called Boy Crazy. It was released in 2013! I’m so glad that my last few layouts have been using older products. I really need to make a dent in what I own! Have you been using up your older products rather than buying new?